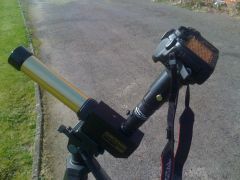 Photographing the Sun can be quite challenging. 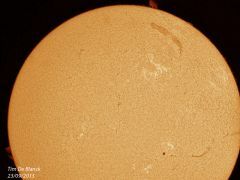 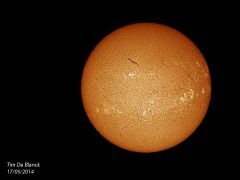 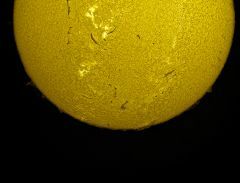 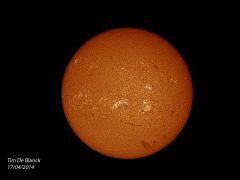 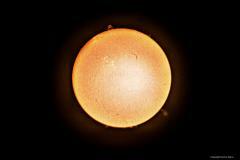 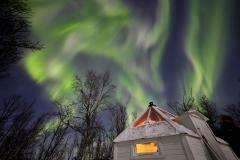 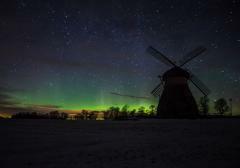 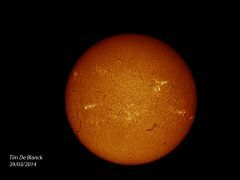 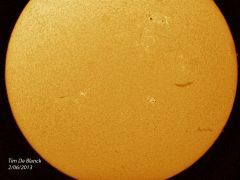 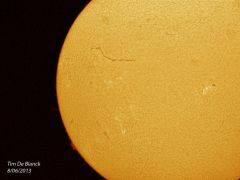 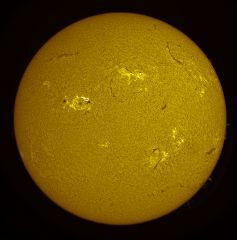 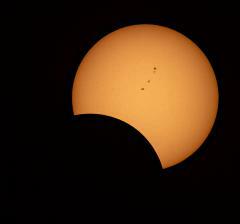 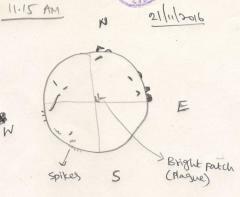 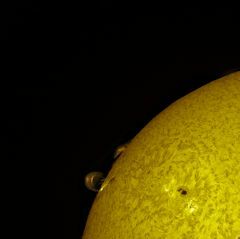 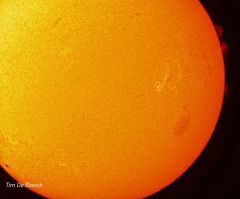 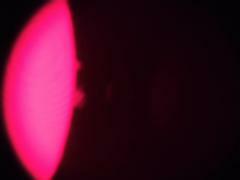 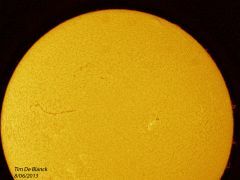 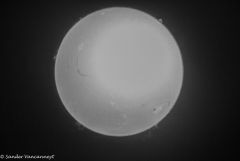 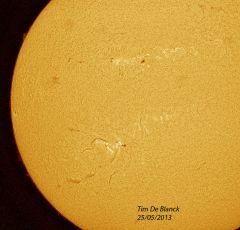 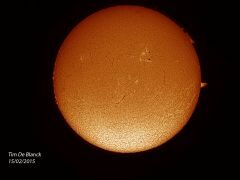 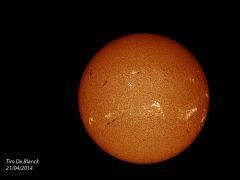 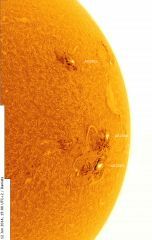 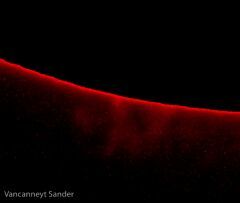 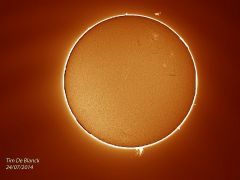 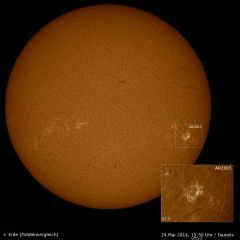 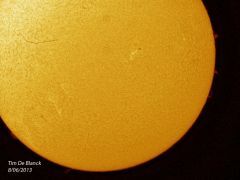 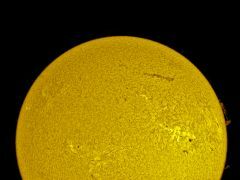 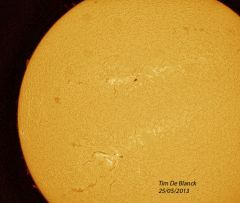 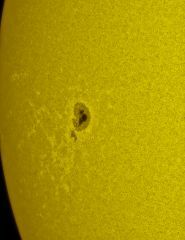 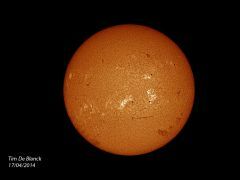 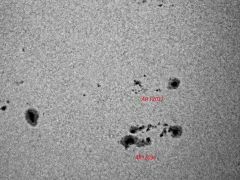 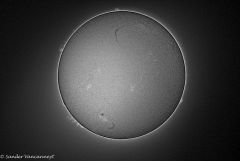 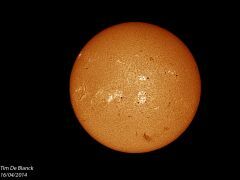 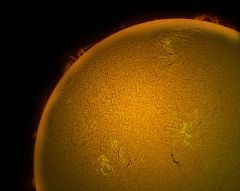 In this category you'll find the best solar images made by our members in both H-alpha and visible light. 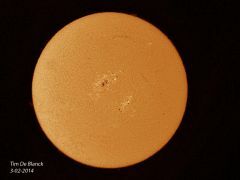 Solar images taken in New Mexico and SE Texas with several scopes and cameras. 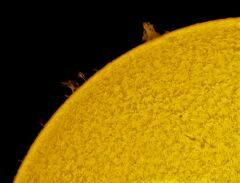 Pictures of the Sun made with my H-alpha telescope. 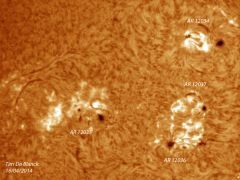 Images of AR2673 and 2674 taken through a Herschel Wedge mounted on an AstroPhysics 6" f/8 Refractor. 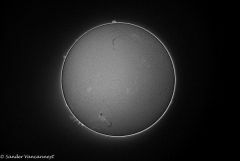 SenTech monochrome videos camera, 200-500 frames stacked and processed in Registax v6, Levels adjusted in PhotoPlus v8. 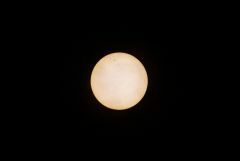 Images were taken through clouds and thick smoke from forest fires here in the Pacific Northwest. 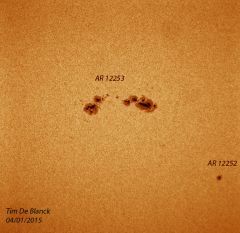 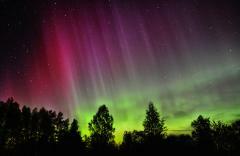 Compare these spots to the record spots imaged in 2003 that produced an x-10 class flare. 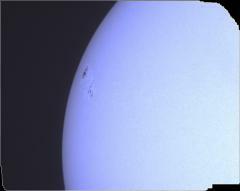 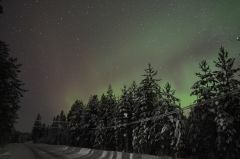 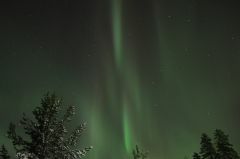 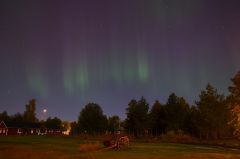 The 2003 image is the full disk image.